What do you want to do with your boat? Do your plans include any long-distance offshore travel? If so, you’ll want to place particular importance on adequate fuel capacity, power options, and fuel efficiency. 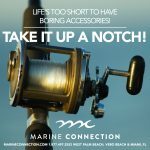 Are you planning to fish mostly inshore? Compare what flats boats, skiffs, and fish & ski boats have to offer. 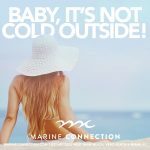 Prefer to do your fishing offshore? Consider looking at center consoles, cuddy cabins, and walkaround boats. How big should your boat be? Consider whether you need just enough space for you and a few friends or if you’ll need more room to accommodate your whole family, for hosting parties, or for overnight guests. Will features such as a cabin, forward seating, and a head compartment be required? Knowing whom you plan to bring onboard will tell you what kind of layout to look for. Where will you keep your boat? If you plan to store it at home on a trailer, make sure you not only have adequate room for it, but that it isn’t prohibited by your H.O.A. How big of a boat can your vehicle tow? If your boat is too large to trailer, investigate alternatives, such as marina or dry dock storage. Look into the costs of each option and include it in your total budget. Before you consider any other detail, you must first create a budget. Don’t just consider the total price of the boat or your monthly finance payments and down payment amount; include all the expenses you should expect from boat ownership, like insurance rates, storage fees, and maintenance costs. Keep in mind that boats with a galley, berth and head can provide tax-deductible interest as well as serve as a cost-effective second home. Boats depreciate just like cars, meaning a used boat in great condition could have a lower price tag without much wear and tear to consider. If you have good mechanical skills, enjoy projects and have some free time, you may also prefer having a used boat. New boats carry a higher price tag, but likely to have zero operating problems from the start. Other important factors to consider here would be financing options, warrantee coverage, and manufacturer’s support. 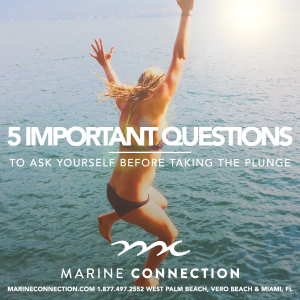 Take into consideration whether or not you’ve owned a boat before, and if so, use that experience to help determine what type of boat will fit your current needs. Try to think of your primary needs; don’t make the mistake of getting caught up in the things you want to do, but rather, what do you see yourself doing with your new boat 90% of the time? If this is your first experience buying a boat, bring someone along who is when you’re ready to check out these vessels in person. Know another question we missed? Spread the wealth by sharing your thoughts in the comments below! 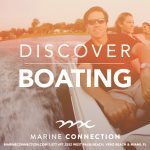 Marine Connection is your premier South Florida boat dealership carrying some of the worlds greatest boat brands, like Cobia, Pathfinder, Sailfish, Sportsman, Hurricane, and Rinker. 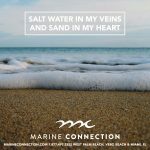 With locations in West Palm Beach, Vero Beach and Miami, Marine Connection covers over 250 comprehensive miles of territory on Florida’s East Coast. 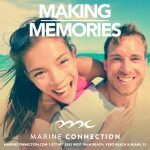 Ranked as the #1 Dealer in the World for Cobia and Sportsman Boats and the #1 Dealer in Florida for Hurricane Boats, for years, Marine Connection has been acknowledged for our successes as one of the Top 20 Dealers in the Nation by Boating Industry Magazine, the only Boat Dealer to make the prestigious Inc. 5000 list, voted Indian River County's Favorite Boat Dealer of 2015 by TCPalm’s Readers Choice Awards, and voted Vero Beach’s #1 Boat Dealer of 2015 by Hometown News' Readers Choice Awards. 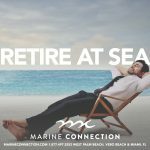 For additional information about Marine Connection, including inquiries about buying, selling, or financing a boat, contact one of our South Florida locations at sales@marineconnection.com or give us a call at (877)497-2552. Life’s too short to have boring accessories! Take it up a notch!